I am rewarded daily by my interaction with children. Their forthrightness and intuitiveness are a continual source of wonder and joy. I view my role as pediatrician as a partner in the care of the whole child, working with families to ensure their child’s overall health and well-being. I attempt to empower children regarding knowledge and care of their own bodies, and personal responsibility for their emotional and physical health." Dr. Rydell grew up in Nevada, attained her B.S. at Southern Oregon University, completed her internship and residency at the University of Utah, and then returned to Oregon to begin practicing pediatrics. She has been with Metropolitan Pediatrics’ Westside Clinic since it opened in 1999. Dr. Rydell is married and has an adult son and daughter. In her free time, she likes to garden and take on household projects. She also loves living in beautiful Oregon and often engages in outdoor pursuits. 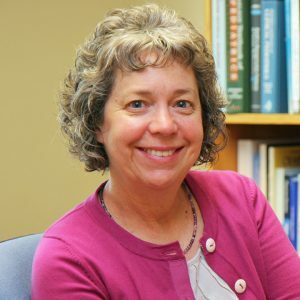 Dr. Rydell enjoys her relationships with her patients and their families, as well as her involvement in children’s lives as they develop and mature to adulthood. Sharing the joys and challenges of their growth has been very rewarding. "We see Dr Rydell and I can't recommend her enough. She's kind, knowledgeable, and stays abreast of latest research. I have enjoyed working with her the last 10 years. When we've seen other Drs there they've all been great almost to a one. The front desk ladies are generally very nice and helpful as well." "We've been there 2 times with our baby girl, we love the clinic this far, Dr. Rydell is great! We switched pedestrians after going to westside pediatric clinic for her very first appointment but that clinic treated us in a very hostile manner, they talked down to us and had no manners, so we never went back, we went to you guys and we're happy we did!"